Google has re-released its Santa Tracking app for 2018 with a few new games and updated features. The latest functionality takes advantage of the relatively new location sharing in Google Maps. Users can now use Google Maps to track Santa when the feature goes live on December 24th. In addition to the tracking feature, users can also play a collection of Christmas themed games like a matching game called Memory, a geography-based title called City Quiz and Flappy Bird-esque game called Rocket Sleigh. 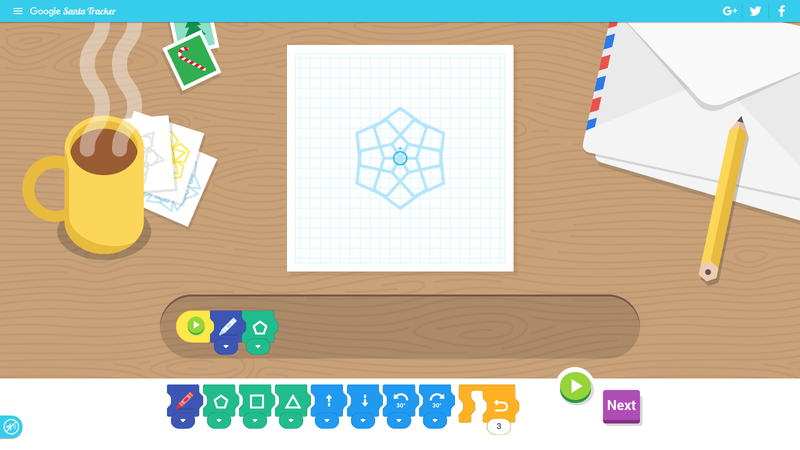 There is even a game called Code a Snowflake that lets you use essential coding elements to build a snowflake design. Another education focused game enables you to translate holiday phrases to learn how to say them in other languages. There are even more games that will be added to the app as the 25th gets closer. One of the upcoming games is called Elf Maker, according to Google’s blog post, and it lets players design their own elf. Users can download the app for Android for free, or visit the Google Santa Tracker website for a similar experience.